A few weeks ago, Aiden English shocked the world by betraying his friend Rusev. Many WWE fans were expecting the same from Rusev, but again the company decided to do something unexpected. To make things even more interesting, WWE showed us a 'one night in Milwaukee' segment between English and Lana. Last week Aiden showed us a preview of a clip where Lana said 'I want you' to Aiden, and the video stopped. Aiden tried to reunite Rusev Day this week, but it didn't work out. 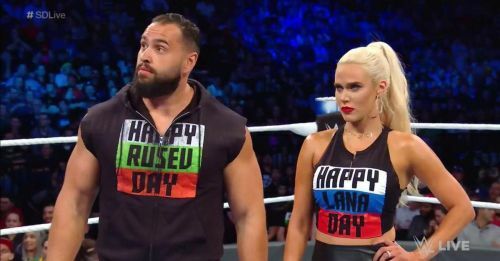 Rusev Day is still broken, and here are 3 reasons why not reuniting it is a good idea. In the past few weeks, we have seen many heels turns in the company, and many of them were shocking. At WWE Super Show-Down, The Undertaker and Kane attacked Triple H and Shawn Micheals to book a future match between them at Crown Jewel. The next night on Raw, we saw The Bella Twins turning against Ronda Rousey, and Bobby Lashley doing a double turn. Now it seems like WWE is prioritising heel over face, and this is why Aiden needs to stay away from Rusev Day. The heels often help the faces, giving a boost to their careers, and most of the time things need to be done by a singles performer. Aiden has a good voice, and he could easily cut intense promos and give decent matches as well. 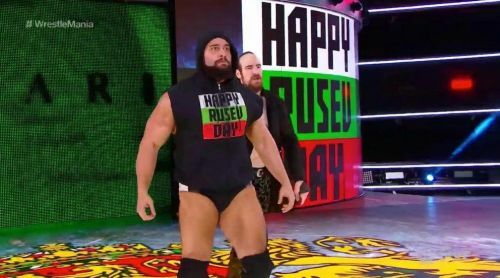 The rise of Rusev Day started with English, as it was he who used to announce Rusev, and if he could do this with Rusev, there's no doubt the same could happen with himself as well. WWE needs to focus on English, as he can do wonders in the ring as a singles performers.